Six years ago, the Privateers were prepared to move down to Division III. While New Orleans suffered in the wake of Hurricane Katrina, the city’s sports entities felt the squeeze as well. The NFL’s Saints played the 2005 season on the road, while the NBA’s (then-) Hornets called Oklahoma City home. For Tulane and the University of New Orleans, who were far less flush with cash, the consequences weren’t just relocation. The schools and their respective athletic programs were financially decimated. Green Wave athletics took years to recover, but being a private school and eventually moving to the American Athletic Conference helped Tulane move past the rocky post-Katrina years. New Orleans, a smaller public school with a modest endowment, was not so lucky. The charter member of the Sun Belt was once a perennial conference contender and ranked a few times in the late 80s and early 90s. (They made four NCAA Tournament trips too.) But after the hurricane, the school’s enrollment dropped by about 6,000 students, University of Louisiana budgets tightened and they were ready to move down to Division III. 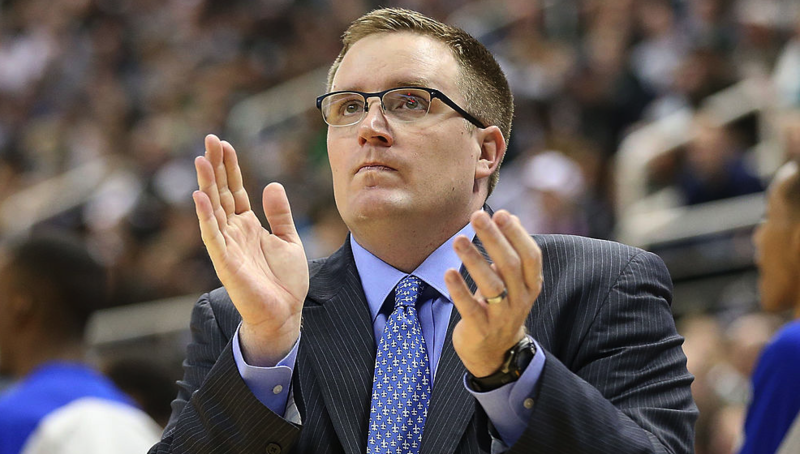 UNO left the Sun Belt and began the transition process. Additional studies led to financial reevaluations and eventually, New Orleans remained in DI. They’d never completely reclassified and were full-fledged members of the Southland Conference for 2013. Considering how far the drop could’ve been for the Privateers, the step down in conference difficulty was a relief. That was really all it was supposed to be, though. The Southland was filled with a bunch of larger, mostly Texas-based schools. UNO bouncing back and competing, especially in the short-term, seemed unlikely. Somehow, Coach Mark Slessinger pulled it off, and in very short order. Slessinger arrived after more than a decade at Northwestern State, so he’s experienced in the state. (NW State is in Natchitoches.) But the caliber of athlete on the roster in 2011, when he came to campus, was not NCAA Tournament-worthy. Transitioning out of DI, they had fewer scholarships. Competing as an independent, there was little to sell recruits on. 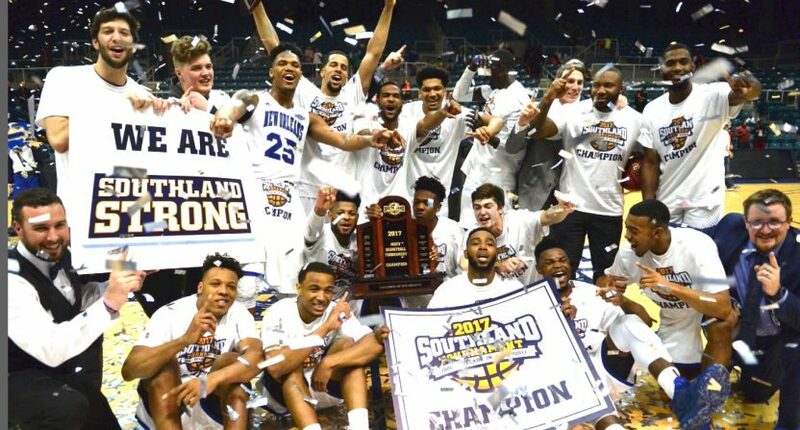 After four straight losing seasons, the team’s surprising seniors led the Privateers to the Southland’s top seed, sporting a 13-5 conference record, paired with a 20-11 overall mark. They sustained the expected blowouts early on against (tournament) teams like USC, Northwestern and Oklahoma State, though victories against Tulane and Washington State seemed to hint that there was something more on the horizon for UNO. Leading scorer Erik Thomas may have transferred in (from Baton Rouge Community College), but Christavious Gill, Nate Frye and Tevin Broyles have been at New Orleans for four years. Travin Thibodeaux is a junior, who’s also been here since his first year. There are a slew of younger players on this squad, and they’ll build the future for the Privateers. But the present – the program’s first 20-win season since 1997 – was largely built on a team mired in mediocrity, and stuck between Division I and Division III. Given the scholarship limitations at lower levels of college athletics, it should have inhibited having this sort of talent on the roster. Instead, the Privateers are game away from going toe-to-toe with defending champion Villanova. They’re highly unlikely to beat the Wildcats. They may not even beat First Four opponent Mount Saint Mary’s. It’s completely inconsequential – or at least it would appear that way for outside observers. Slessinger told the Times-Picayune that the tournament bid will change everything for the program. And he’s right. That doesn’t mean he, or any of the team’s numerous seniors, feel like they’re already at the end of the road. If Slessinger didn’t end the party, Mount Saint Mary’s would’ve been happy to do so for them – and still might. The Mountaineers are guard-heavy, shoot threes and play a style that has spelled upset in the tournament many times before. New Orleans, on the other hand, is plodding (among the 55 slowest teams in the country, according to KenPom), and crashes the boards hard. They’re also among the best teams in the nation in terms of forcing turnovers. It’s the type of game plan that can be executed to perfection against lesser teams – one of which could potentially include Mount St. Mary’s. We’ll find out soon enough where this Cinderella story nets out. Win or lose vs. the Mount, or Villanova or any unlikely opponent thereafter, this season’s a success for New Orleans. The program was dead and nearly buried in DIII. Just a few years later, they’re in the NCAA Tournament. It’s the stories like this one that always make March Madness worth tuning in for.